SC16 marks the 10th Student Cluster Competition (SCC) held in the United States. Since the event’s inception, it has inspired similar events in Germany, China and South Africa. In all, more than 500 hundred students have participated. The inaugural event was held at SC07 in Reno, Nevada, and the participants had to battle through an unexpected power outage. In the photo above, SCC co-founder Brent Gorda starts the very first SCC at SC07. 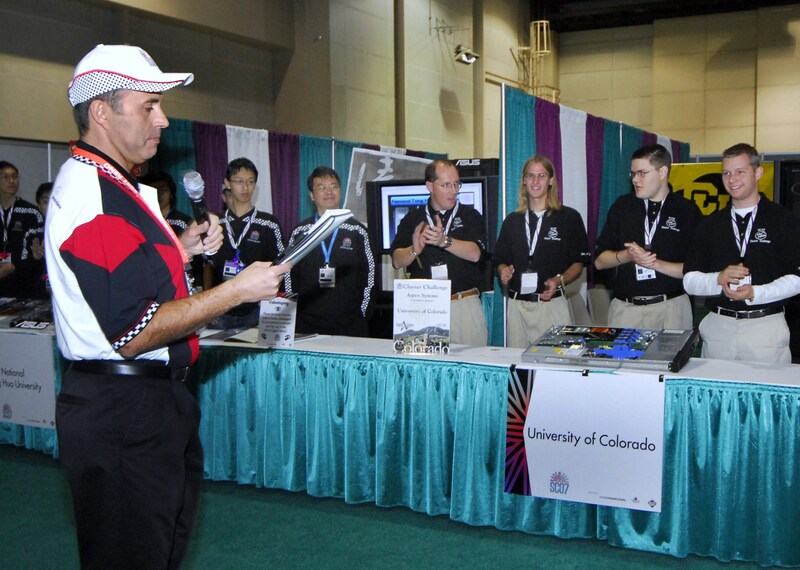 Also pictured is Dustin Leverman (first from right) who competed as a member of the University of Colorado team and later joined Oak Ridge National Laboratory. He also chaired the SC14 SCC.